See a doctor, skip the wait. CVS Health's MinuteClinic plans to offer a nationwide video-visit service, added to its smartphone app, that will let you get a diagnosis on things like the flu and other easy-to-diagnose ailments. Starting in a handful of states (North Carolina not among them yet), the plan is to roll it out nationally by the end of the year. The service is expected to cost $59 and can be paid for with a credit or debit card. CVS Health is partnering with virtual care company Teladoc to provide the 24/7 service. "At CVS Health, we're committed to delivering high-quality care when and where our patients need it and at prices they can afford," said CVS Health Chief Medical Officer Dr. Troyen Brennan. "Through this new telehealth offering, patients now have an additional option for seeking care that is even more convenient for them. 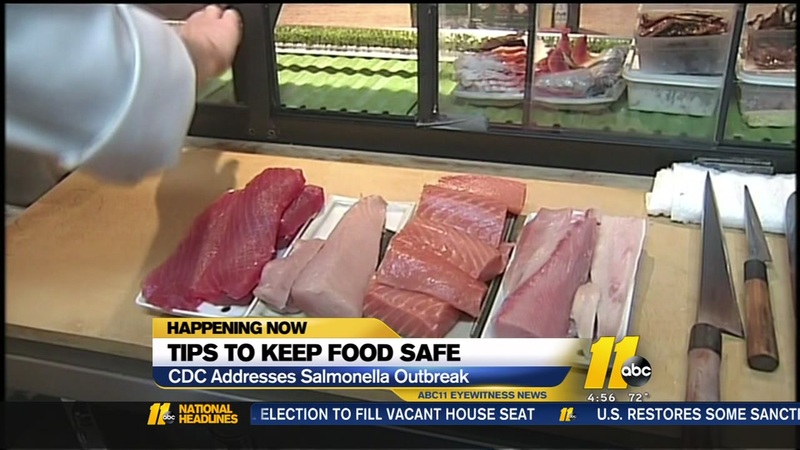 The CDC is reminding people of these simple steps to keep your food safe.